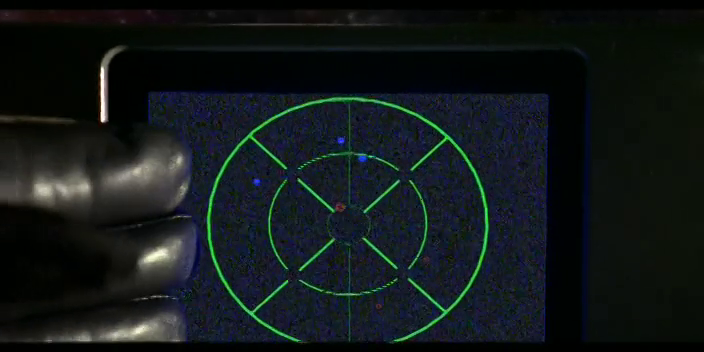 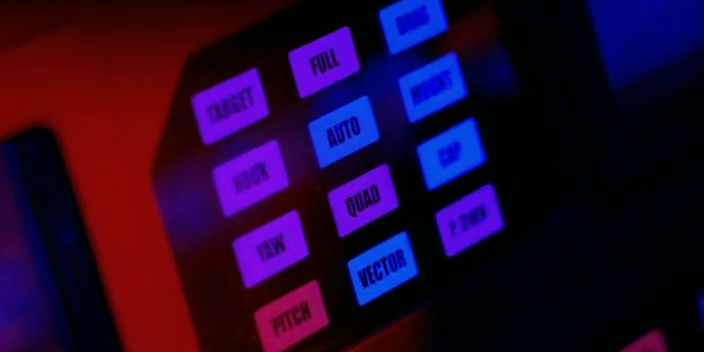 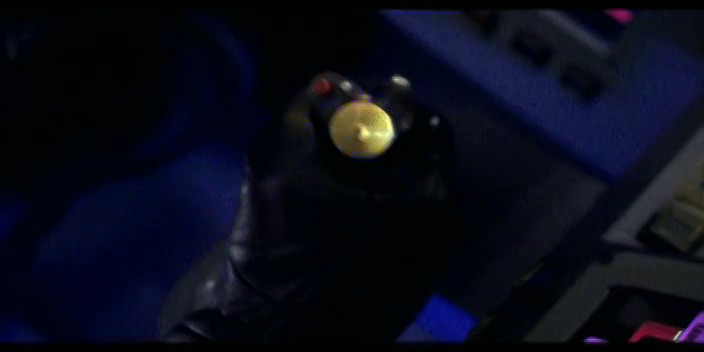 It's common knowledge that Wing Commander IV doesn't have cockpits, famously dumping them in favor of displaying the UI on the previously optional 'invisible cockpit' (an option popular among players at the time.) 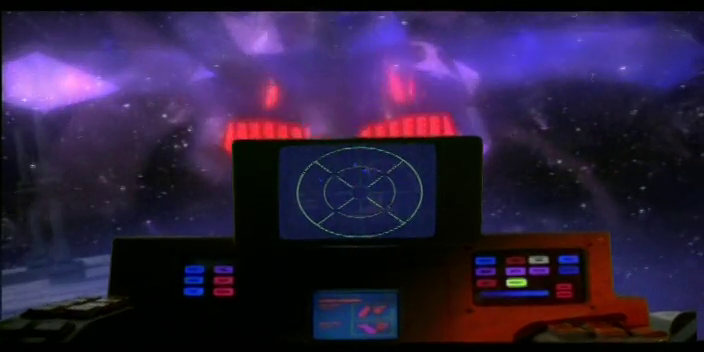 But it turns out the game isn't completely without cockpits! 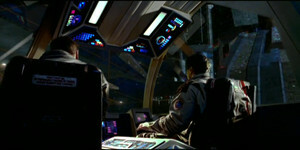 The production built multiple physical cockpits for the full motion video sequences (including one extremely detailed Confederation shuttle set) which give us a look at what the 'real' world of Wing Commander IV is intended to look like. 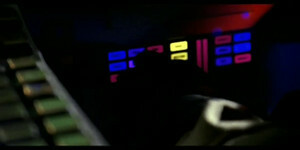 We've collected reference screenshots of these cockpits and the various control surfaces seen in brief cuts. 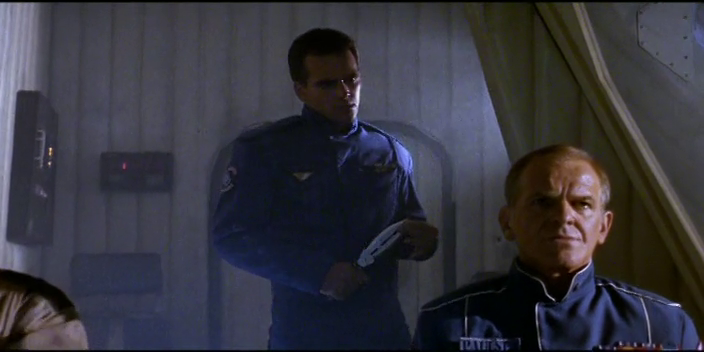 Together they make up a few seconds of screen time… but seeing them together really gives you a better appreciation for what went into Wing Commander IV. Several angles of the Terran Confederation Hellcat V's cockpit are seen during the game's introduction, including views of the flight stick, throttle and forward and right cockpit instrumentation. 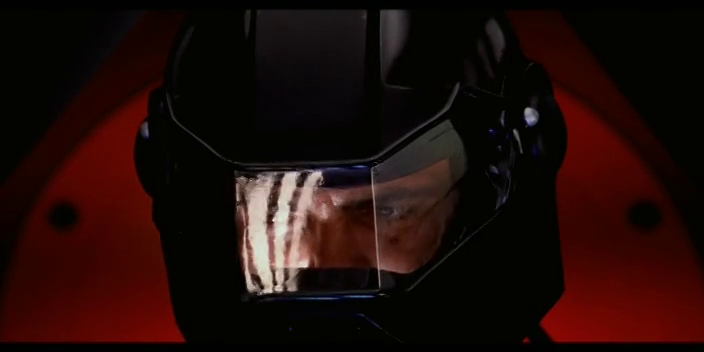 The Hellcat cockpit seems to be a fairly complete construction. The F-107 Black Lance (or "Dragon") fighter also appears in several shots during the introduction. 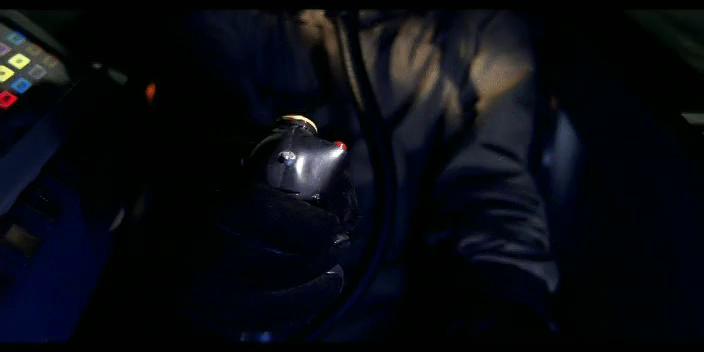 There are several good shots of the interior instrumentation as Seether fires first the flash pak and later performs his mine trick. 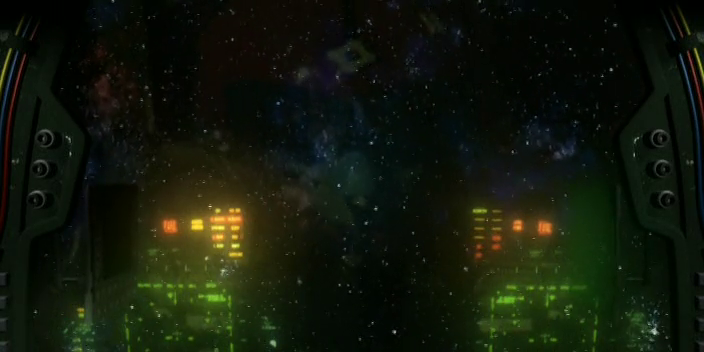 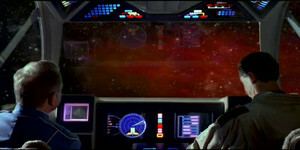 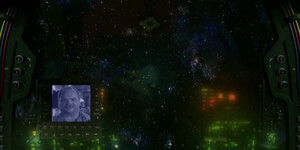 The Union of Border Worlds Banshee cockpit appears briefly in the cutscene which introduces the jamming crisis in the Peleus system. Only the rear of the Banshee set seems to be distinct, with the missile launch panel being reused from the Lance. 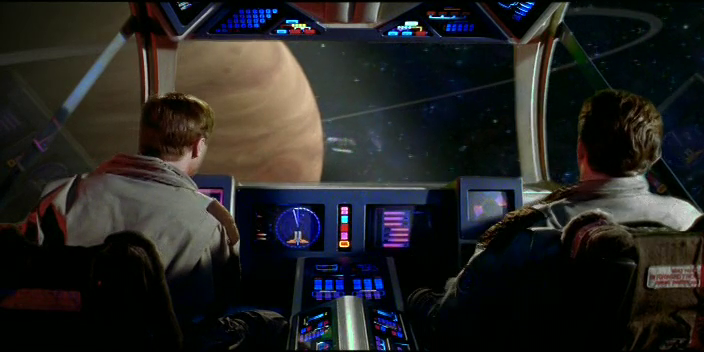 Wing Commander IV famously budgeted for a full sized Terran Confederation shuttle set. 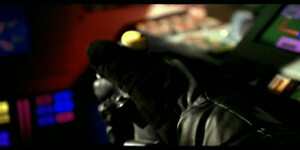 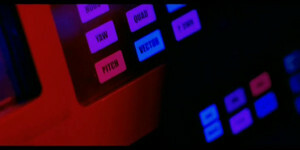 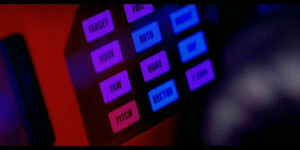 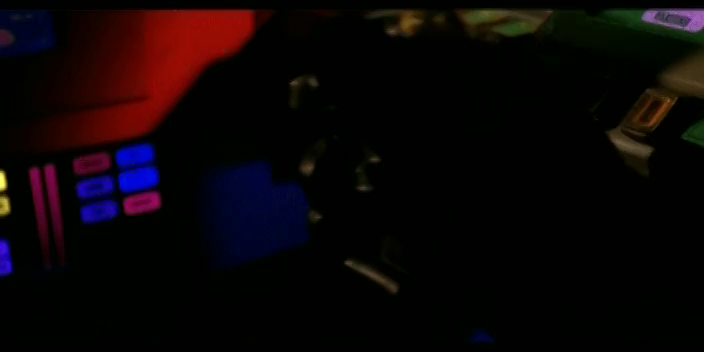 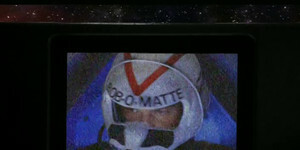 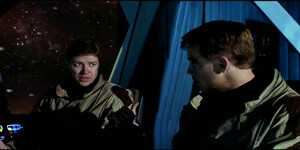 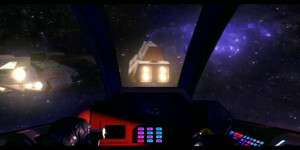 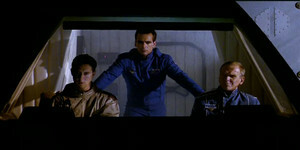 The shuttle is seen during the introduction as Blair and Maniac travel to Earth and then again when Seether executes Paulsen. 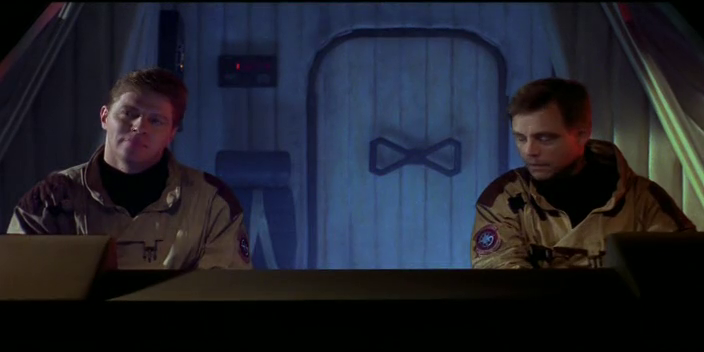 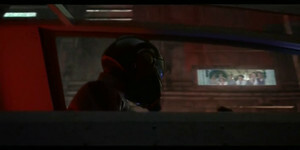 The introduction features one extremely cool shot that reveals the extent of the work done to create the set, showing Blair and Maniac's conversation looking up from behind their seats. 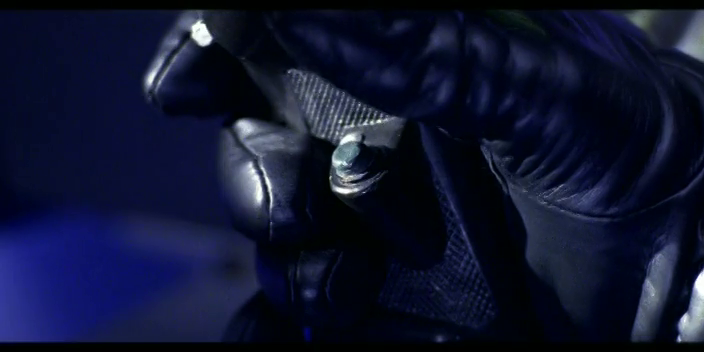 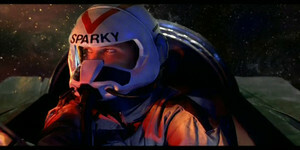 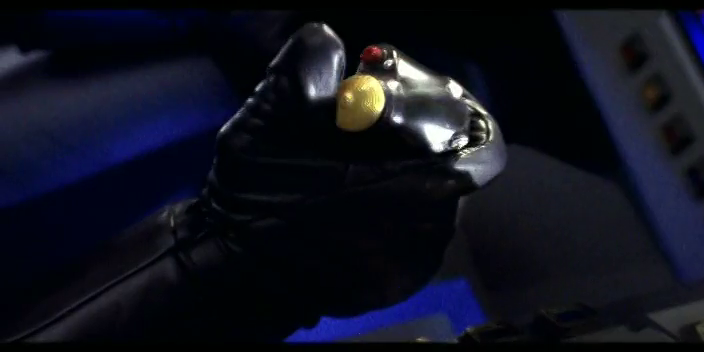 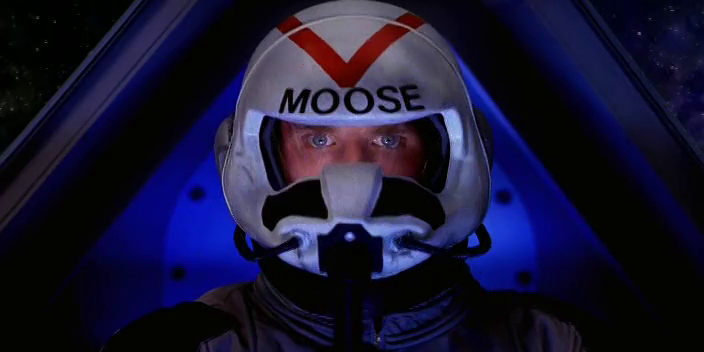 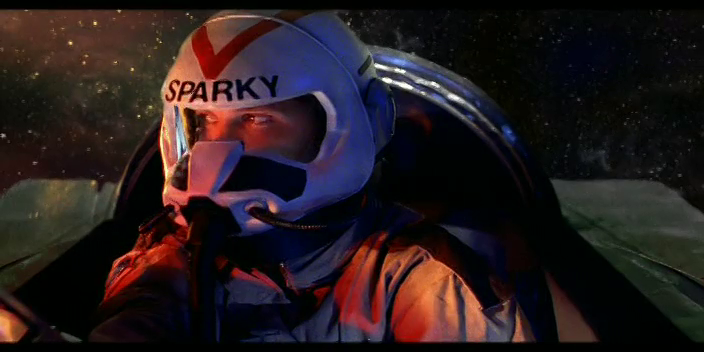 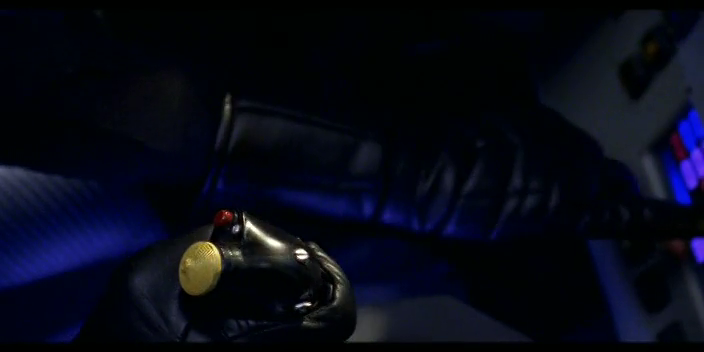 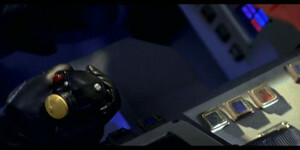 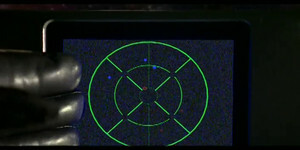 Finally, the game features an all-CG ejection pod cockpit for the 'chewout' cutscenes which sort of explains the gap between the invisible cockpit view and the real world: a physical communications VDU folds out to play an unhappy message from Eisen, Paulsen or Pliers. 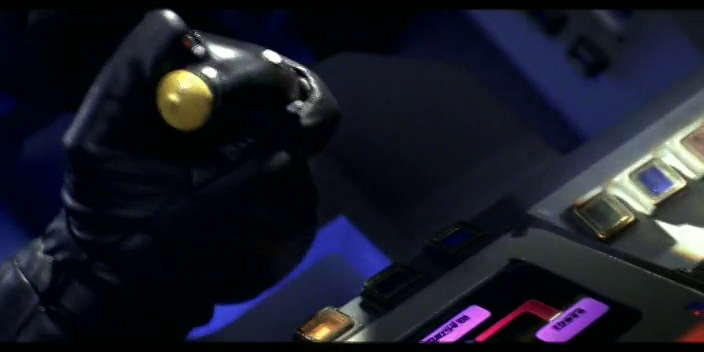 The physical sets were a big reason I really enjoyed WC4 as a interactive movie. 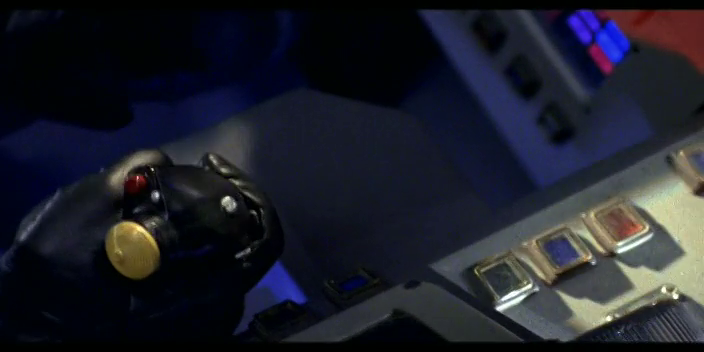 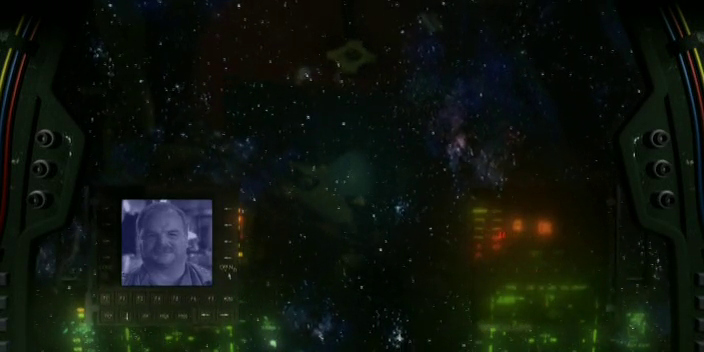 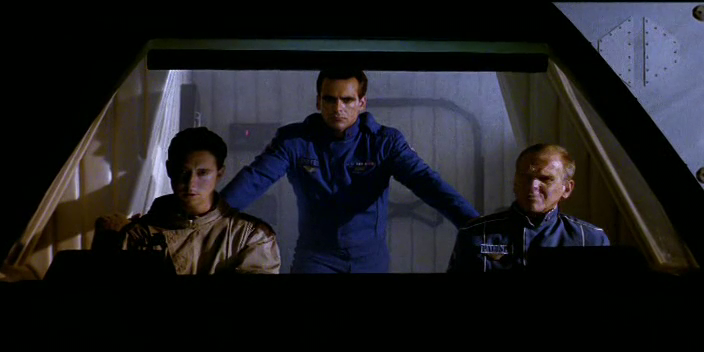 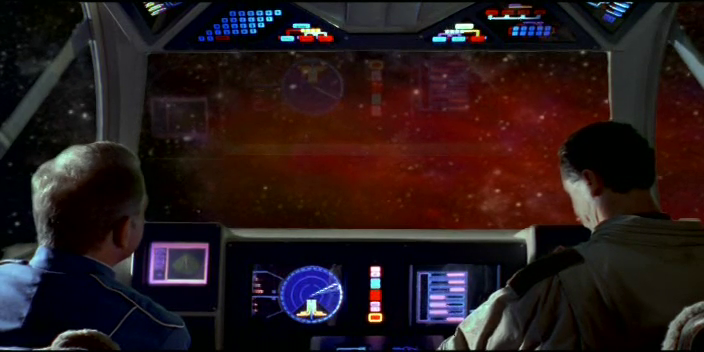 The shuttle scene with Blair and Marshal wouldn't have worked as well with a green screen cockpit. Ahahaha, The Wild Geese avatar cracks me up. The DI in that film is great.